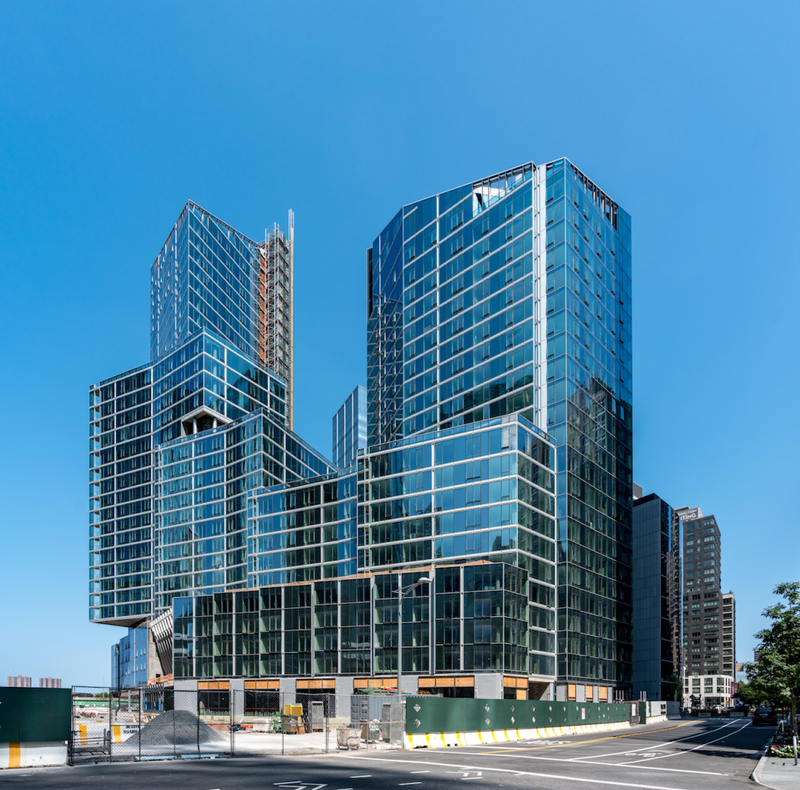 Sharing a time-lapse videos and new photos of Waterline Square, the transformative luxury residential development designed by Rafael Viñoly Architects, Richard Meier & Partners Architects, and Kohn Pedersen Fox Associates (KPF). The video shows the master planned development nearing completion and fully enclosed. 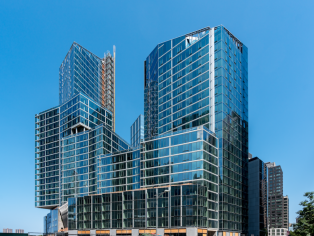 Situated along Riverside Boulevard from West 59th to 61st Streets, the 2.2 million square foot, five-acre mega-development represents the last remaining waterfront development sites to be completed on Manhattan’s Upper West Side. One Waterline Square by Richard Meier & Partners Architects is 37 stories, Two Waterline Square by KPF culminates at 38 stories, and Three Waterline Square by Viñoly Architects is 34 stories. Featuring 263 luxury condominium residences located among the three buildings, homes at Waterline Square range from 1-5 bedrooms and start on the 20th floor and above, providing sweeping views of the Hudson River and Manhattan skyline that stretch down to the Statue of Liberty. With more than 100,000 square feet of best-in-class sports, leisure, and lifestyle amenities designed by The Rockwell Group, as well as the beautifully landscaped three-acre park by Mathews Nielsen Landscape Architects, residents at Waterline Square will have access to one of the largest and most compelling offerings in New York City.